Celebrate this month with the Pride Dama! $2.5 from every kendama sold goes to benefit the It Gets Better Project, an initiative to help the LGBTQ community and celebrate the coming out process. Sweets Kendamas Cushion Clear over Kendama MPLS hand painted rainbow stripes! Limited edition MPLS pride sticker included. 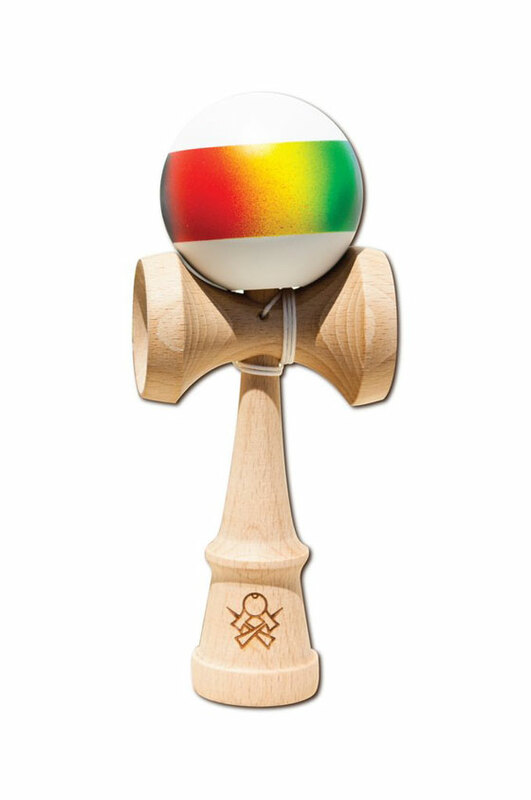 The Pride Dama features a rainbow gradient stripe, over a white base finished with cushion clear on a Prime Custom Ken.